Fermanagh is part of The National Cycle Network in Northern Ireland – a network of signed cycle ways that are here for everyone to enjoy! The routes vary from traffic-free and family-friendly to ‘challenge’ and long-distance routes. 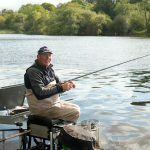 The Castle Archdale Family Cycle Trail, developed by the Countryside Access & Activities Network (CAAN) is one not to be missed! 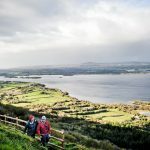 Along with cycle trails from Enniskillen Castle to Castle Coole and within the Crom Estate this diverse range of cycle routes will allow you to marvel at one of Ireland’s most important nature conversations, fantastic views over Lough Erne as well as some of the treasures of the National Trust! 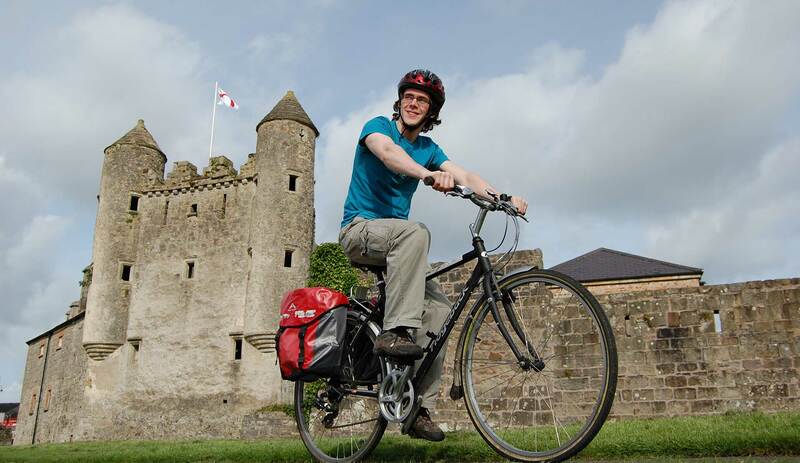 Fermanagh & Leitrim are home to the Kingfisher Cycle Trail; This unique mixture of Lakeland’s, canal side tracks, rolling hills, leafy laneways and mountain climbs make the Kingfisher Trail the ideal choice for all levels of Cyclist. The overall figure of 8 encompasses a number of shorter trails which are designed for anything for 1 day to 8 day tours. The Kingfisher Cycle Trail is over 300 miles of public roadway winding through rural countryside, Lakeland’s, Atlantic Coast and Mountain Trail. Independent travel offers the best opportunity for those who like complete freedom. Using the Kingfisher Map, the Kingfisher Accommodation Guide and the clearly waymarked route, navigation is childsplay.